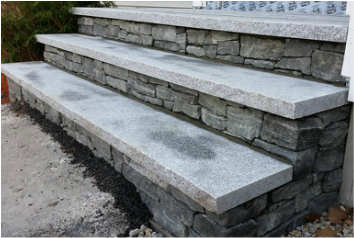 A classic step option, sourced locally in New England, our Vermont Granite steps are a best seller. ​Cut using a split face technique, we stock lengths from 3ft thru 8ft ! 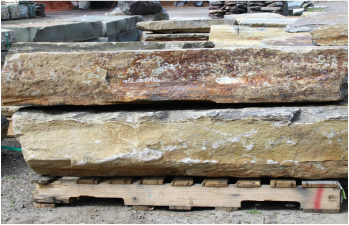 These large, irregular slabs make great steps or accent pieces in your landscape design. Harvested from a field in Northern Maine, they give a rustic edge to your patio or walkway. 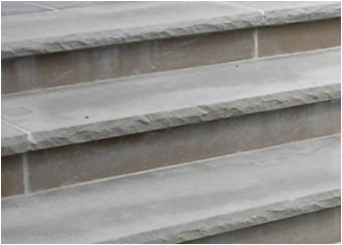 Because of their gorgeous neutral color and budget friendliness, Limestone treads are a best seller. Available in 4ft, 5ft & 6 ft lengths. 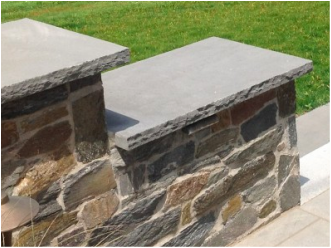 These beautiful & durable treads are a popular option to finish any wall or step project. They look great atop a large variety of veneers! Available in 4ft, 5ft & 6 ft lengths.